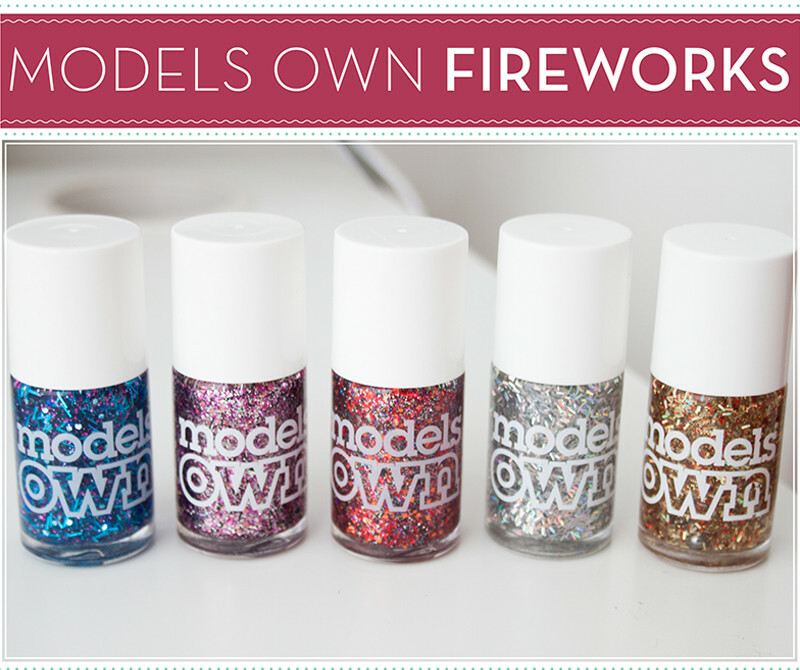 Next up in the Models Own Autumn/Winter offerings for 2013 is the Models Own Firework Collection. 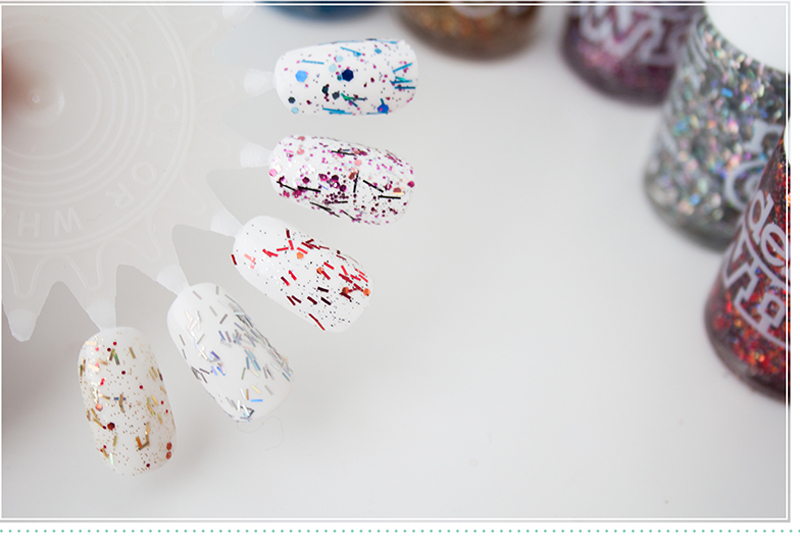 5 stunning glitter polishes in a clear base, with each polish absolutely packed with colourful glitter in all shapes and sizes. These are best worn as topcoats but some could be layered up to be worn alone. 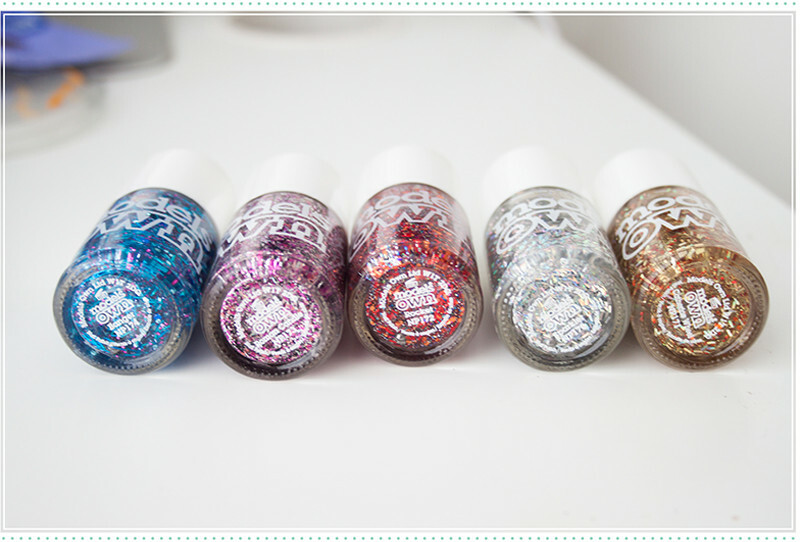 The Fireworks is a collection of glitters so its right up my street. I love nothing more than a glitter polish to perk up a manicure. 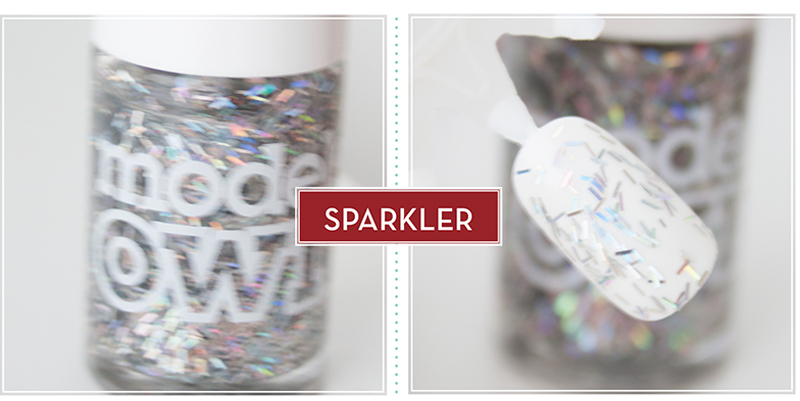 Models Own Sparkler Nail Polish is packed full of holographic strands which gives a really cute effect when used as a topcoat. This would look amazing layered up with lighter colours like baby pink, lilac or blue. 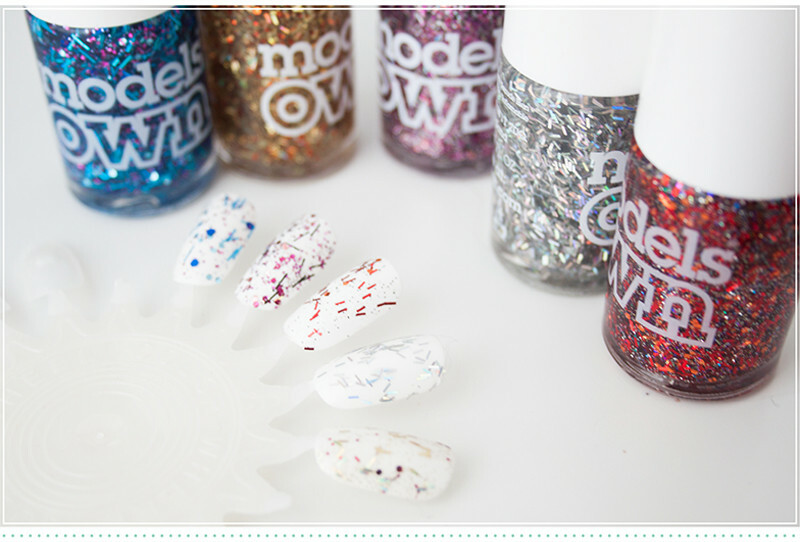 Then we have Models Own Catherine Wheel Nail Polish which is contains four glitters including mini gold strands, red polka dots and holographic glitter. This looks nice layered over darker bases's and would really pop against black. 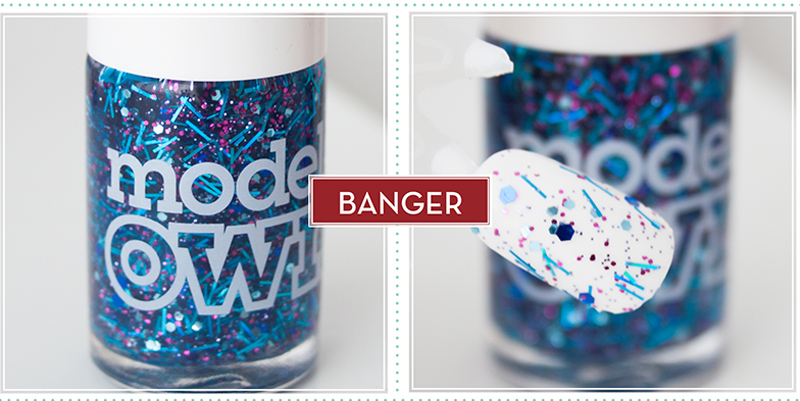 Models Own Banger Nail Polish contains blue strands, two shades of blue hex's and fuschia micro glitter. I afore this one as well and it looks awesome layered over white. 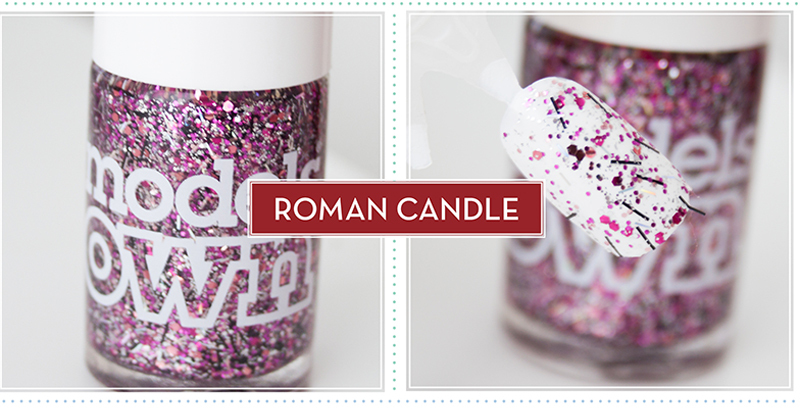 Models Own Roman Candle is the pink based one with black and silver strands. I found this to be the most dense glitter polish from this collection. 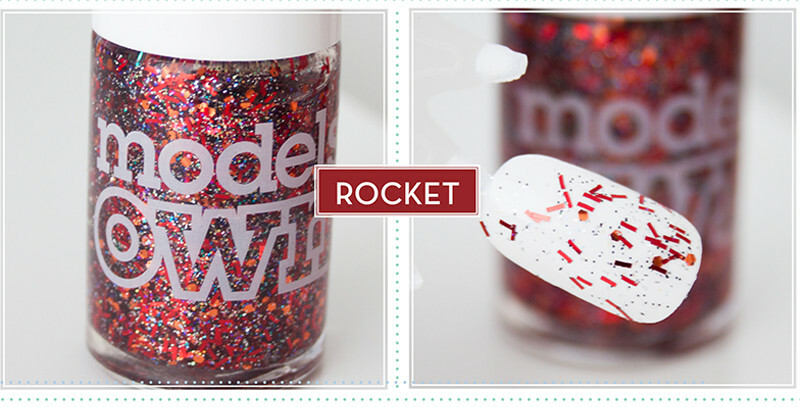 And lastly Models Own Rocket, jam packed full of glitters including red strands, black dodos and a fine black and gold base. This one if definitely the most interesting polish from the range containing a whopping 7 glitters. These retails for £5 each and launch on the 24th August at the Models own Bottle Shop, Online from September 2nd, and nationwide from the 4th in Boots then Superdrug from the 25th September. 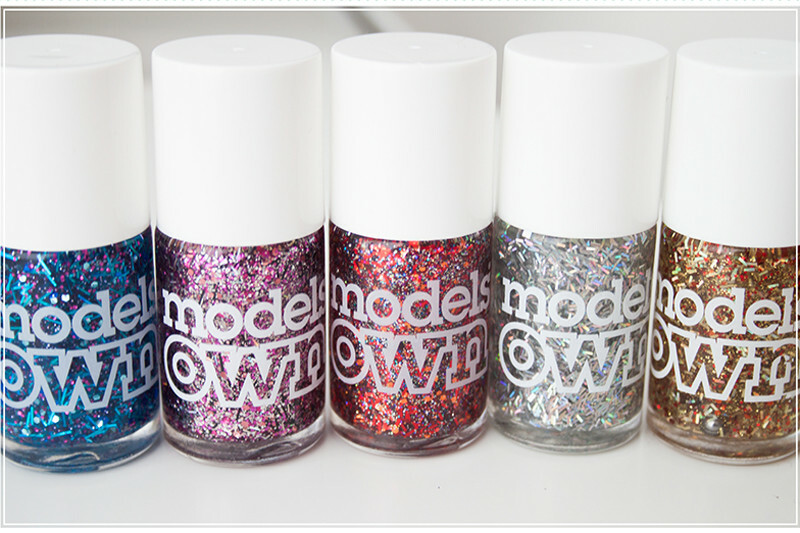 I can see this being a popular collection with some of the shades really standing out to me. 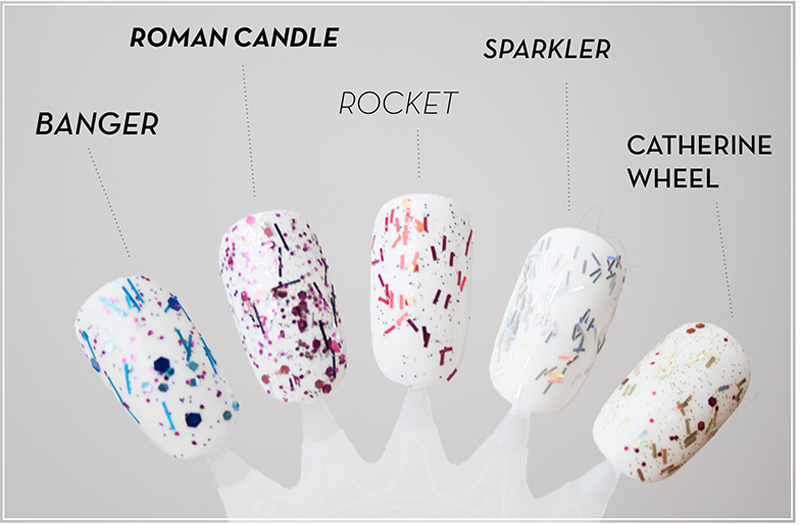 Namely Sparkler and Banger, these are definitely my top picks from this drop! Like all glitters I can imagine these would be a pain to get off!